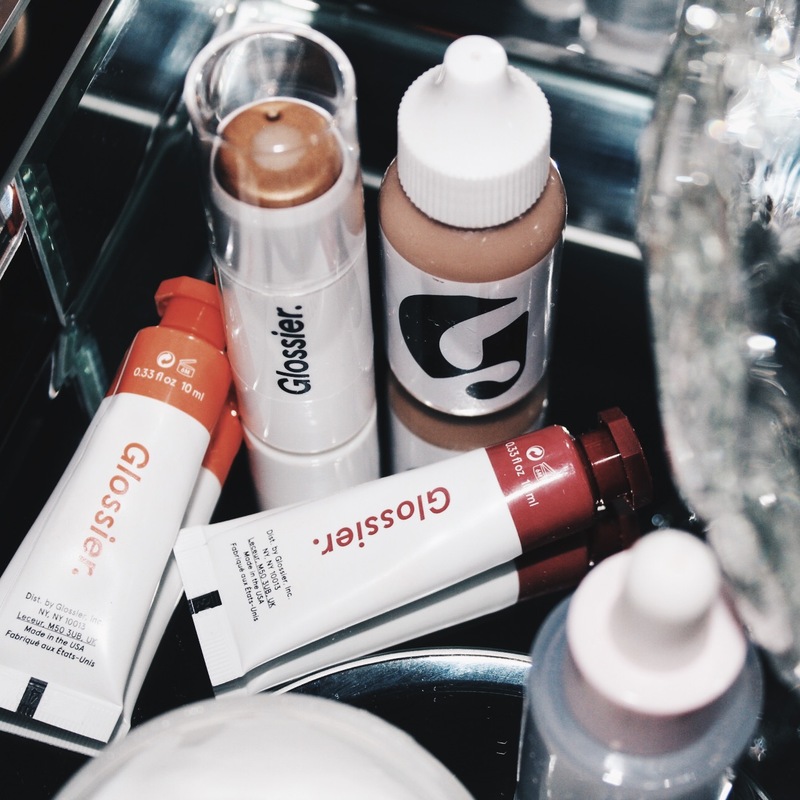 I’m not going to go into how Glossier got started and how its changed the beauty landscape in the last few years. I think if you are a huge beauty consumer through social media sites like Instagram, you’ve seen this line everywhere. Being the beauty junkie that I am, I had to see what the hype was for myself. For starters, I am not in the Glossier demographic. Marketed towards millennials, particularly, those who aren’t into heavy makeup but are more minimalistic, I’m a Gen X baby. Cloud Paints - This is a fabulous product! 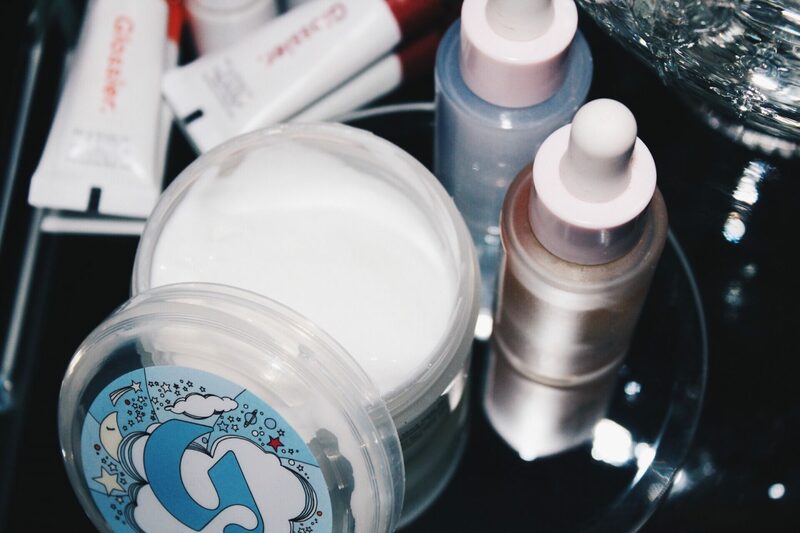 I bought my first Cloud Paint in Haze a few months ago and just purchased Storm and Dawn on a recent visit to the Glossier Showroom in NYC. This gel cream blush is a non-blush wearers dream. Although the blush looks like it would be hard to work with, it’s not. It’s a beautifully buildable blush that’s suitable for all skin tones including oily skins. It’s so buildable that I’ve even used it as a sheer eyeshadow. I can’t say enough about how much I love this product. I love it so much that I will be purchasing this whole range to put into my makeup kit for the many brides that I work on. As someone with oily skin, I apply it on top of my foundation and build up to the intensity that I’m looking for. Afterwards, I lock it in with a dusting of my Nars loose powder. It lasts all day. I’ve even used it under a powder blush for staying power. Haloscope - This moisture rich highlighter gives that glow without looking like a disco ball. Nothing wrong with disco ball, but when you want to shine in a more subtle way, Haloscope is your friend. It give you a natural “lit from within” glow. I got mines in Topaz. It’s a beautiful gold bronze that matches my skin perfectly. Boy Brow (not pictured) - This is a #1 product for some many people and I can totally see why. I’ve tried in the past to use a brow gel and nothing ever worked for me because the product was too ashy or too dark for my brow hair and the gel flaked. I got the Boy Brow in Brown and it’s perfect. I have a lot of brow, but its spare. This gives my brows heft without looking like a monster. Boy Brow is a total keeper. Stretch Concealer (not pictured) - It’s described as “flexible coverage” and it’s true. It’s a super creamy concealer that’s perfect for using under the eye because it’s so moisturizing, but light in texture. The smallest amount can cover a lot of territory. And for the money, you get a nice amount for product in the cutest glass jar. Moisturizing Moon Mask - When your skin is oily, I never in my life would expect to use a moisturizing mask. Most oily skin skin people are always steered to clay masks. But this hyaluronic acid, sweet almond oil infused blend is a winner! The light, whipped texture is almost like applying a gel cream moisturizer to your face. You apply the mask and leave on for 20 minutes. Rinse. And you are left with smooth, plump, fresh skin! I would recommend this to any skin type! Super Bounce - it’s one of three serum offerings. It’s a hyaluronic face serum that you can use with your existing skin care for added moisture. I use one drop in the morning after my toner/essence and a drop in the evening to boost up the moisture of my night cream or facial oil. It’s a simple hydrator that I like, but you can get a better deal with The Ordinary’s Hyaluronic Acid 2% + B5 (30 ml $6.80) versus Glossier’s 15 ml for $28. Perfecting Skin Tint - I wear makeup everyday and I’ve been doing makeup for a long time. I know how to make what I have look like “no makeup”. 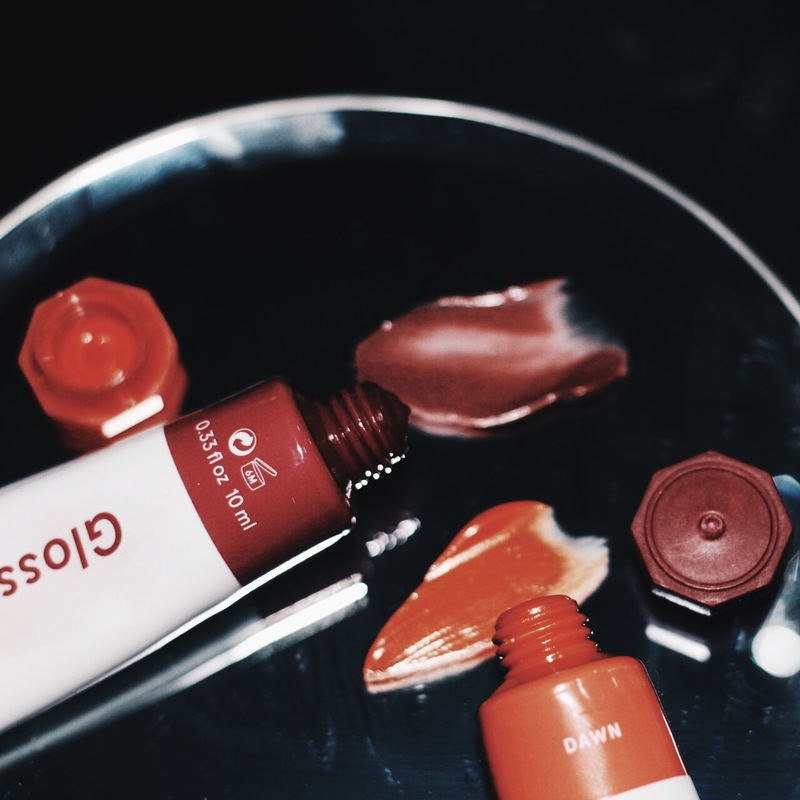 So when Glossier introduced the Perfecting Skin Tint, I instantly had to try it. It’s comes in five shades and the product is soooooo sheer that it can cover a large range of skin tones. I got my shade in Deep. The product is so sheer that you are can apply it like a facial moisturizer. But if you are looking for any coverage, you’re not going to get it. I applied it one weekend and used a bit of concealer where I had a few blemishes and sealed it with a loose powder. By the end of the day, the Perfecting Skin Tint “broke up” in coverage. It just didn’t look right and my skin looked muddy AF. I do love the “idea” of it and I see where Glossier was trying to go, but it didn’t do anything for me. But not one to give up, I will try another way to apply it. Super Glow - another one of the three serums, this Vitamin C serum was a waste of my good coin. 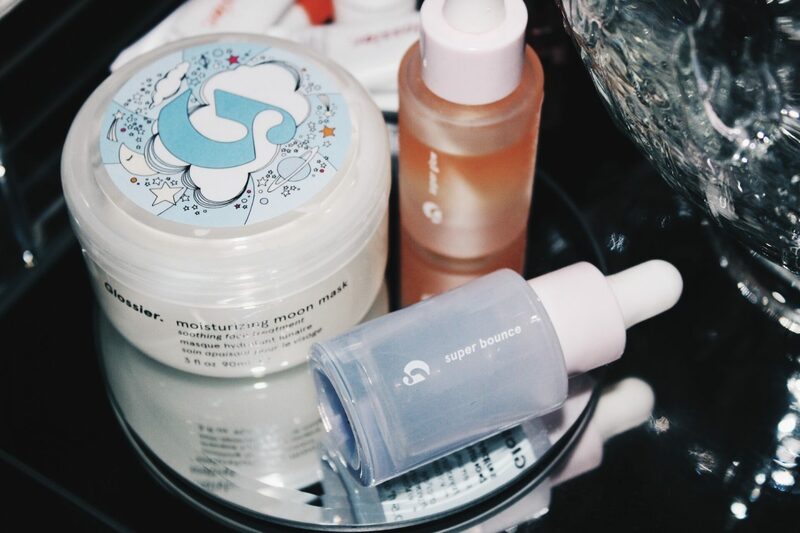 I’ve used other Vitamin C serums from other lines, but the texture of the Glossier version was too watery for me. I like to keep my skin bright and clear, but I saw no difference here. I got The Ordinary’s Lactic Acid and it works beautifully for me. So it’s a no for my for this Glossier serum.